Snrky: You're not familiar with the term "launch" are you? You're not familiar with the term "launch" are you? I'm not a fan of artificial deadlines, but the do accomplish one thing that can sometimes be difficult to get done when timelines are tight -- people have no choice but to test. Title: You're not familiar with the term "launch" are you? Snarky: Now that we've launched the testing phase my team will be able to focus on finding bugs. 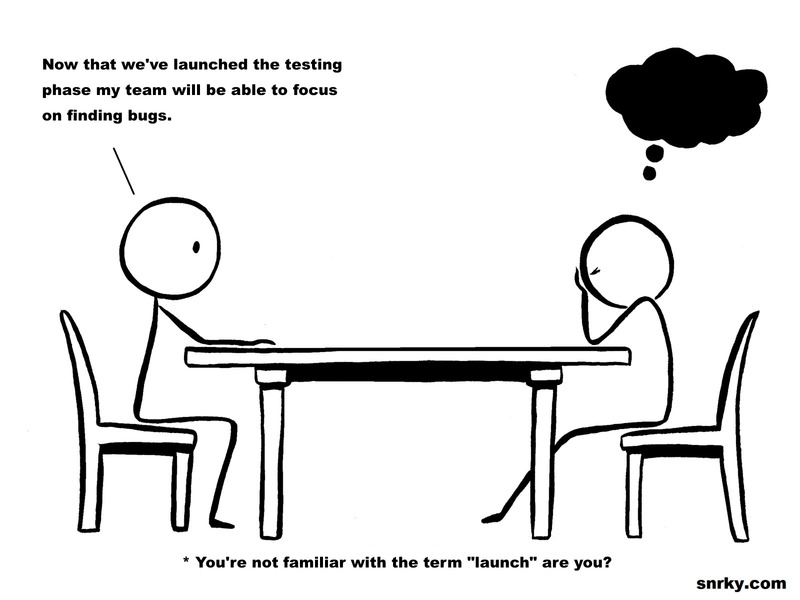 Labels: Across the Table, deadlines, testing "launch"